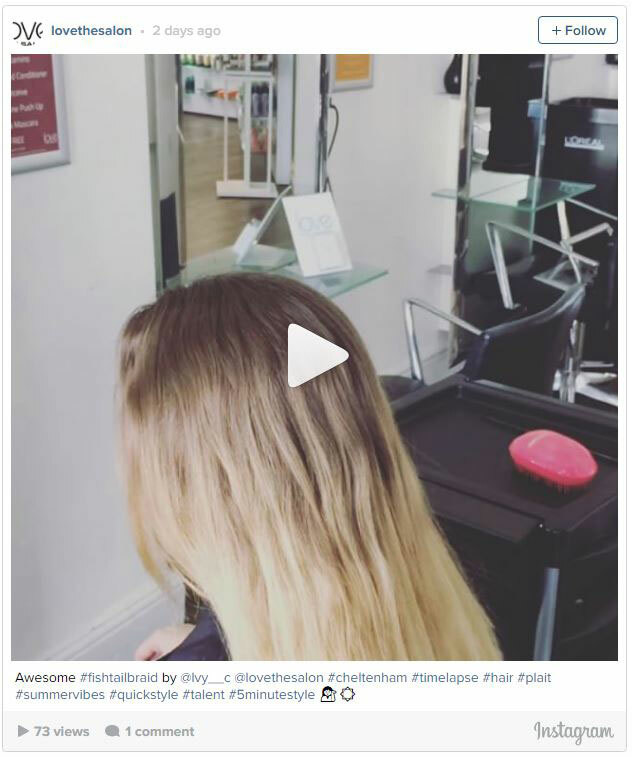 This entry was posted on 26th August 2016 by The Salon Look Girl. If I had a pound for every time a client asked me to teach them to do a fishtail plait, I’d be a very rich stylist that’s for sure! It has got to be the most requested quick-style of the moment, but it can be a little intimidating for those new to up-dos. Trust me though, braids and plaits are some of the easiest styles to get right once you’ve had some practice. I thought I’d give you a quick tutorial of how you can achieve this simple but gorgeous look at home, in just 5 steps. Create a Ponytail. To begin, gather your hair into a ponytail at the nape of your neck. Use a throwaway elastic band - one that you can snip away with scissors at the end. Divide Your Ponytail. Next, split your ponytail evenly into two sections. Unlike the classic plait, a fishtail plait only requires two sections. Begin Weaving. Use your finger to separate a small section of your hair from the outer edge near the elastic and cross it over to the opposite side (overlapping just like you would if you were doing a standard plait). Re-grip your hair to tighten plait, still holding two sections. Repeat with a small section from the other side. Maintain Evenness. Continue overlapping pieces from both sides of your ponytail, all the way down to your ends. Be sure to pull small sections from underneath to cross over, and try to grab the same size (about a half inch) sections from each side. Finish Your Look. Once you've woven your hair down to the ends, secure the fishtail plait with another elastic band. Then, use scissors to carefully cut out the elastic at the base of your ponytail. Finish your fishtail braid by gently tugging on your braid with your fingers to loosen it for an effortless look. Still not feeling confident? Take a look at the time-lapse video from the salon to see a demo of how us pros do it!